This is my official blog for all things related to… whatever I feel like posting on. What, you were expecting a more interesting opening post? Too bad. 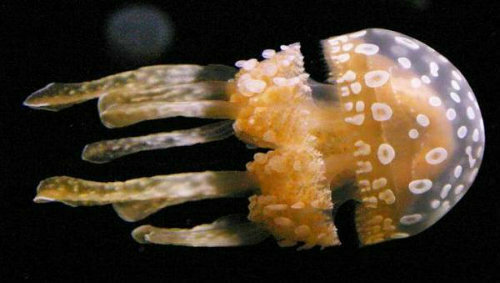 Have a spotted jellyfish to ease your disappointment. By the way, “Princess Jellyfish” is an awesome anime and you should watch it. So please sit back, relax, and then get up and move about and go out and stop sitting in your seat all day, because I’m not going to update again that quickly. But do come back for when I do update again.